The Christmas festivities have officially begun! On Sunday I drove down to my grandmother’s house and now we’re getting ready for our big family gathering on Wednesday. My whole extended family comes together and celebrates Christmas Eve in full on Italian style. The tradition is the “Feast of the Seven Fishes” and that’s my family, but on overdrive. We have plate after plate of decadent food, handmade with love by my grandmother and uber Italian aunts and uncles. It’s a fabulous time – we drink, eat, laugh, love and are certainly merry. And no matter what time we make it to bed that night – which is usually very late – I always wake up at what feels like the crack of down, giddy with excitement that it’s finally Christmas. After we make our coffee and tea, and open our presents of course, we meander into the kitchen and scrounge something up for breakfast. Since we’ve all been cooking for days, a big elaborate breakfast is the farthest thing from our minds. But it's important that we still make it special. And as the only member of my family with food allergies, I usually end up whipping something up. But this year I decided I wanted to do it differently. I wanted to try and prepare our Christmas morning breakfast ahead of time. Baking was a logical choice, and I wanted something more than muffins, so I settled on a gluten-free coffee cake. If you’re still wondering what to serve for Christmas morning, this is it. It’s a flavorful gluten-free coffee cake, that’s moist, tender and perfectly sweet. 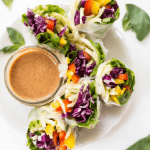 It’s healthy, delicious and can be made to suit any taste buds. Yes, my friends. Your eyes do not deceive you. It’s cake for breakfast that’s actually nutritious! 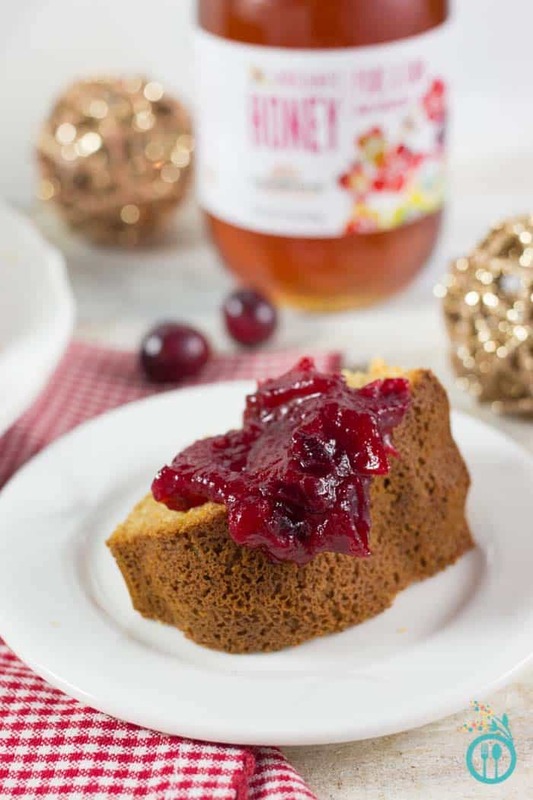 I’ve healthified the traditional gluten-free coffee cake, studded it with cranberries and bright orange zest and sweetened it with pure, organic honey. For someone with a major sweet tooth, and a slight obsession with sweet breakfast treats, honey is my saving grace. Problem is, not all honeys are created equal. Most honeys you find at the grocery store, have been overly processed and stripped of all their nutrients. And aside from the sweetness, that's what makes honey such a beautiful ingredient. Not only is it decadent and delicious, but it's actually healthy. When I'm shopping for honey, I only purchase organic, raw honey, because I know that my desserts will not only be sweet, but will also be nutritious! And during the holidays, keepin' it healthy is my top priority. One of the ways I try to keep my holidays healthier is to include whole-food, organic ingredients in all of my cooking. This coffee cake for example? 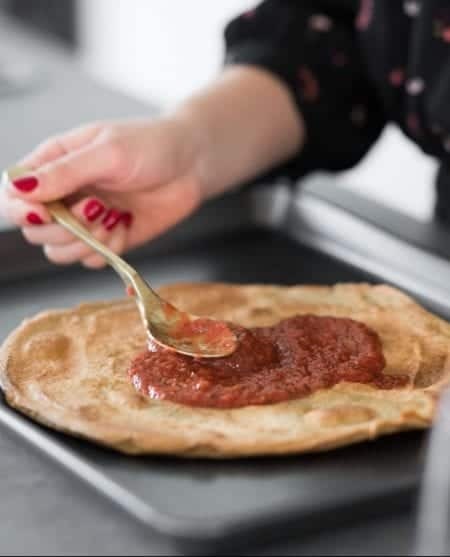 We're using low-carb almond flour, high-protein quinoa flour, nutrient-rich raw honey, unrefined coconut oil, local cranberries and organic oranges. 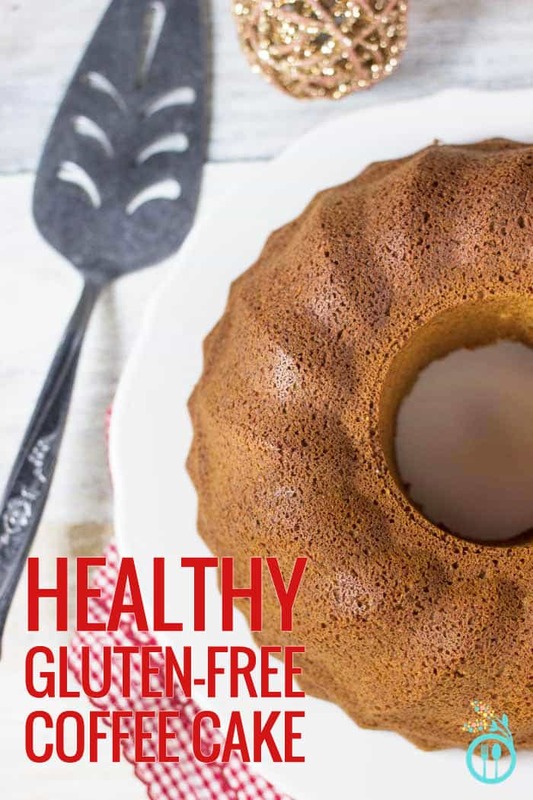 Sure it tastes like the “real” thing, but this gluten-free coffee cake is healthy and completely guilt-free. 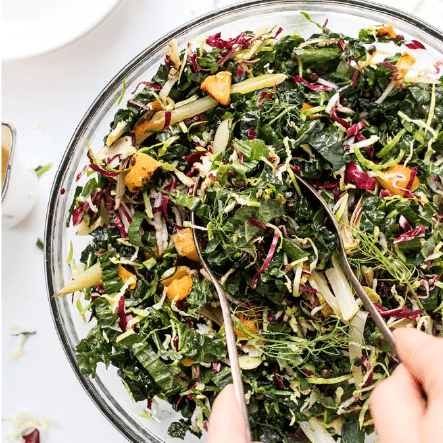 I'm thrilled to be partnering with Madhava Sweeteners today to bring you this fabulous recipe as part of their Healthier Holidays campaign. 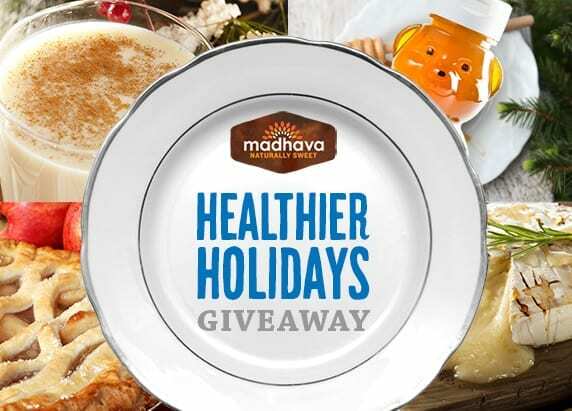 All holiday season, Madhava is giving away weekly prizes on their Facebook page to help you celebrate a heathy and happy holiday. And one grand prize winner will even get a Nespresso machine!! 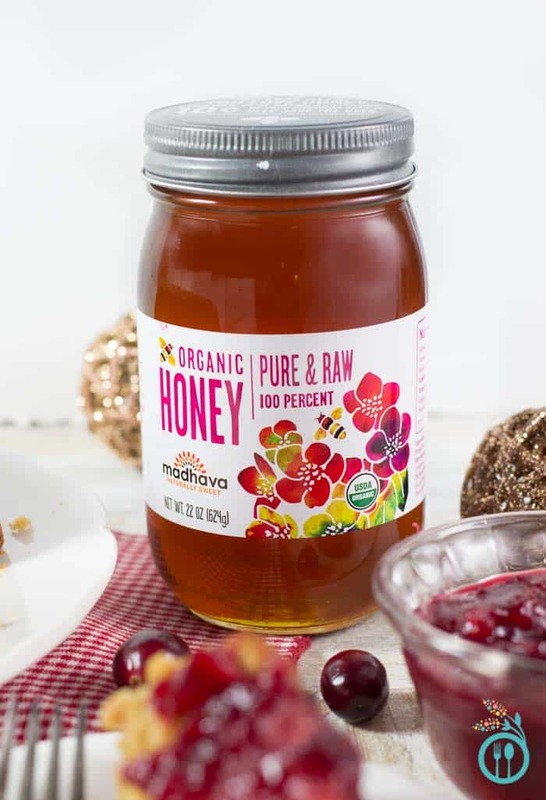 What makes me so excited about this campaign is that I am passionate about helping you live a more delicious, healthy life, and all of Madhava's products promote that. From their natural sweeteners, to their nutrient-rich baking mixes, each one is packed with as much good-for-you ingredients as possible. And quite honestly, that's hard to come by these days. Oh and before I let you go, I just HAVE to tell you about this craberry sauce I made to top our coffee cake with. I was never (ever in a million years) a fan of cranberry sauce. Until I tasted this one. 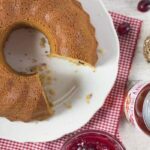 I wanted something simple, that was sweet but tart at the same time – so unlike that jelly stuff that comes in a can – and so I decided to whip one up. I just used fresh cranberries, a splash of orange juice and Madhava honey and let me tell you…hot dang this is good! Thankfully I made a big batch and was able to have it on toast for the next few days. And guess what? Oh so healthy for you too! 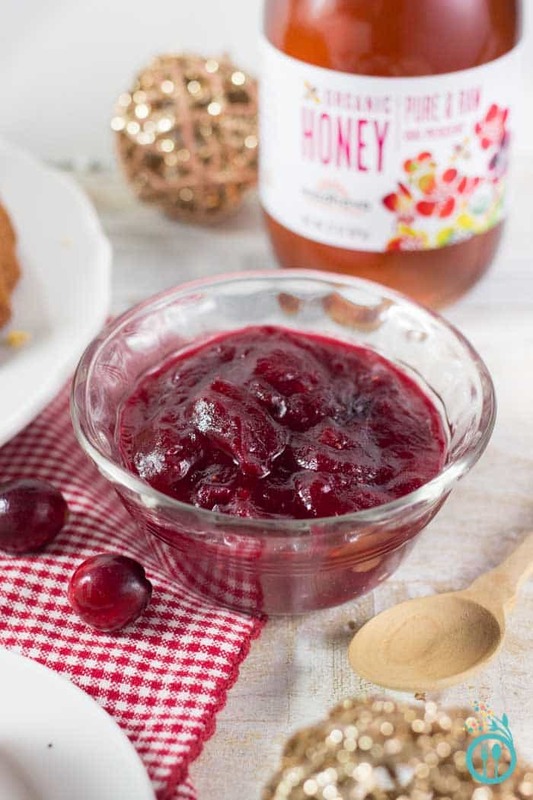 It's like a lightened up jam and it goes with practically everything. 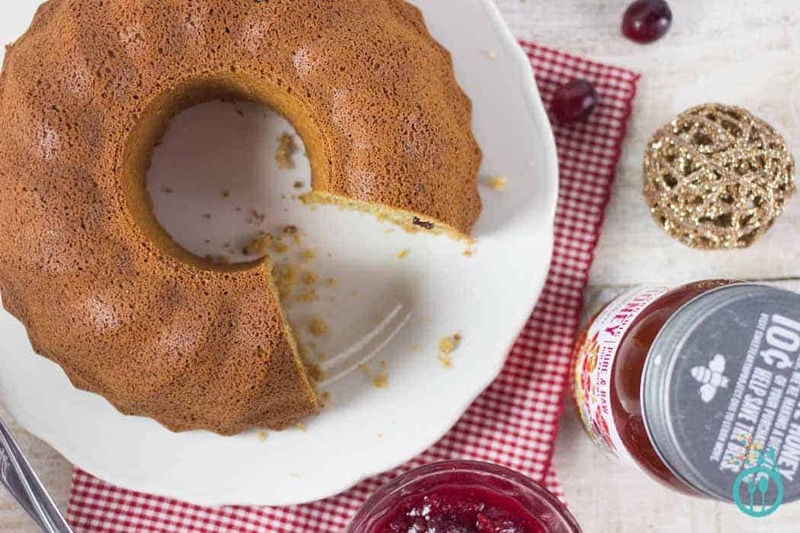 You can't miss it with this cake – just buy a few extra cranberries and you'll be good to go! Preheat oven to 325 degrees F. Grease a bundt pan with coconut oil and set aside. Whisk together dry ingredients in a small mixing bowl. Set aside. In a larger mixing bowl, beat coconut oil, honey and orange juice together until combined. Add eggs and vanilla and whisk until smooth. Add dry mixture into wet in three additions, mixing well after each. Fold in orange zest and cranberries. Pour batter into prepared pan, tapping on the counter to release any air bubbles. Bake on center rack for 35 - 45 minutes until a toothpick inserted into the center comes out clean. 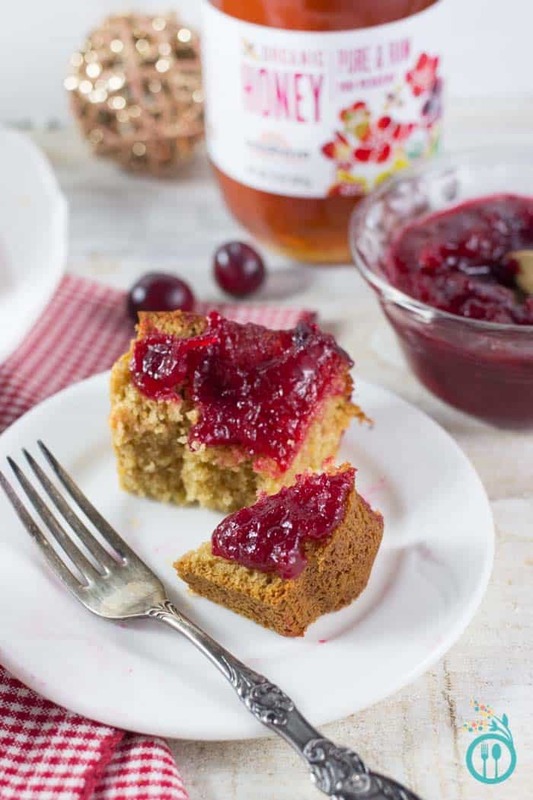 While cake is baking, make the cranberry sauce by combining all ingredients into a small sauce pan. Bring to a boil then reduce to a simmer and let simmer until cranberries have broken down and mixture has begun to thicken. Set aside until cake is done baking. When cake is done, remove from the oven and let cool in pan for 15 - 20 minutes. Carefully flip over and release. Let cool completely before slicing. When ready to serve, top with a dollop of cranberry sauce and enjoy. Disclaimer: This post is sponsored by Madhava Sweeteners. As always, all opinions are my own. Hi Alyssa , this recipe looks awesome. I was just wondering on the calorie count for it? 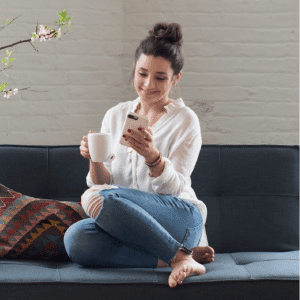 I don’t have that info calculated, but you can plug the into an online calculator and it will give you everything you need! I made this for girls night and it was a huge hit! Everyone loved it! I love all your amazing recipes! Thank you for all your hard work and sharing! I like your healthy way of baking and cooking. Good health is always enhanced with these terrific and tasty recipes. Thank you!